We Compare Multiple Plans to Find You The Perfect Fit! We are an independent insurance brokerage selling: Medicare plans, Health Insurance, Life Insurance, Auto, Home, Dental & Vision and much more! We shop multiple highly rated national carriers to find our customers the best value for their dollar. We pride ourselves on offering quality customer service. We are located in north Houston, TX, but are licensed in several states. Health Insurance Alternatives that fit your family’s needs and budget. Medicare Supplement, Advantage & Drug Plans to fit your individual needs. Shop multiple, highly rated carriers & save on the auto coverage to fit your budget. Protect your home, property & family with personalized coverage & gain peace of mind. Coverage for the skilled care not covered by Medicare Plans or Health Insurance. Security to cover daily expenses if serious injury or illness strikes. A variety of plans to keep your family’s dental & vision health affordable. Protect your company from the unique risks & liabilities it faces. At IHS Insurance Group we strive to provide you with the coverage you need at a price you can afford! Many insurance agents exclusively represent one specific insurance carrier. As a result, they cannot provide you with price comparisons of their products to similar products from other carriers. IHS Insurance Group has been providing its customer in the Houston area, Texas and around the country with exceptional insurance services for over 10 years. Unlike other insurance companies in Texas IHS Insurance offers coverage with multiple insurance carriers. So, rather than try to fit each customer with one option, we explore multiple options to find the perfect fit for each customer. 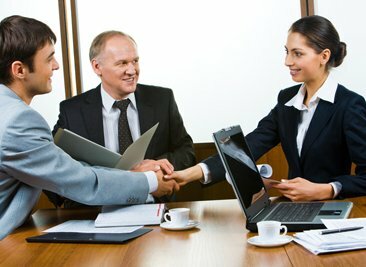 This makes IHS Insurance Group unique among other insurance companies in Houston. Our commitment is to become a trusted advocate to each of our customers and to provide them with the most exceptional customer service possible. Have the knowledge and resources necessary to help you find a comprehensive yet affordable insurance plan. Our licensed agents not only shop for you the first time, but are available to shop the market for you annually to explore potential savings opportunities!. Is always ready to assist you with any questions or issues you might encounter. No need to sit on hold with your carrier for 30 minutes just to be transferred four times. We will do the leg work for you to solve any problems that may pop-up quickly and efficiently!